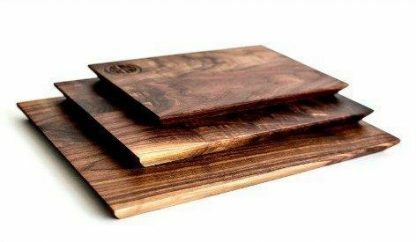 We find our (10″ x 14″) Walnut Daily cutting board to be the board of choice for small kitchen tasks. 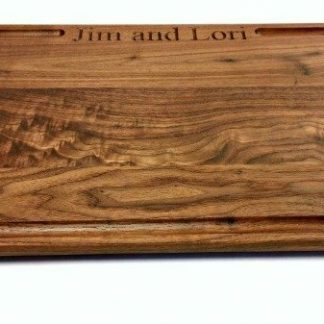 Made of figured walnut, it is 3/4″ thick with beveled edges and, includes your choice of engraving on the back. 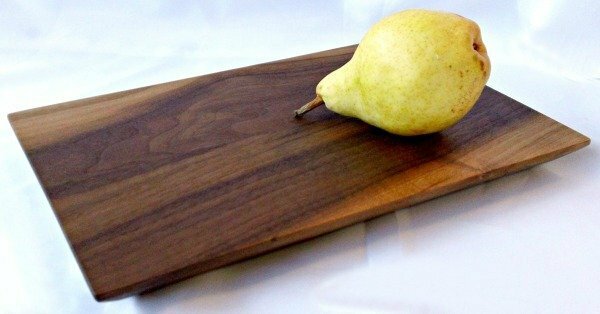 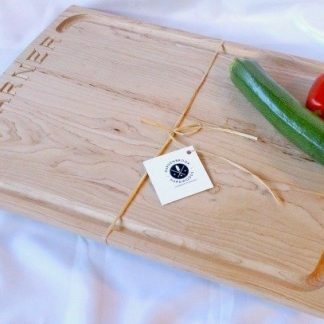 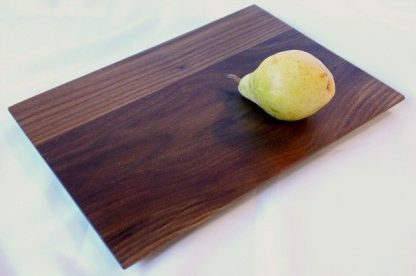 Finished with a blend of mineral oil and beeswax, this board makes your kitchen fun! 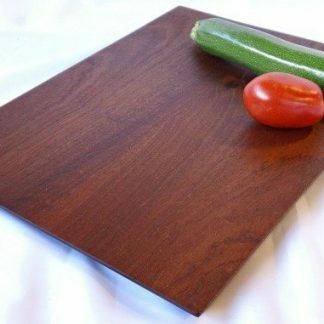 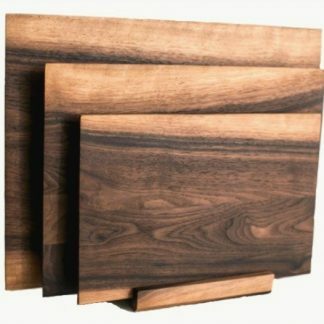 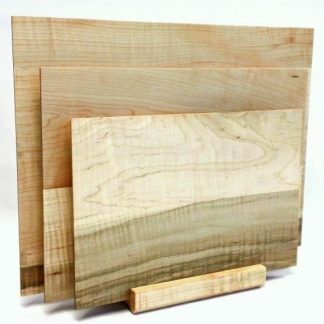 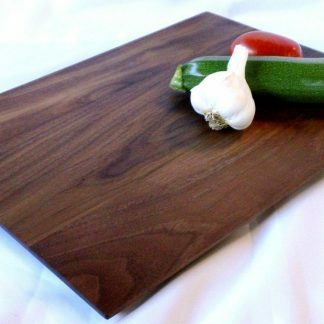 We find our (10″ x 14″) Walnut Daily Board to be the board of choice for small kitchen tasks. 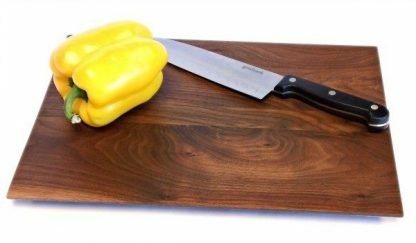 Made of figured walnut, it is 3/4″ thick with beveled edges and includes your choice of engraving on the back at no extra cost. 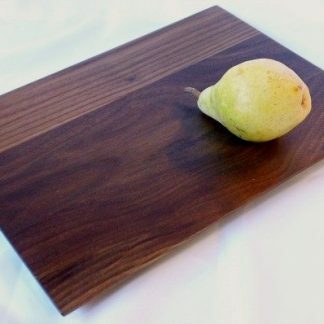 Finished with a blend of mineral oil and beeswax, this board makes your kitchen fun!